Super! Best hostel ever in Hualien! The staff is super nice and helpful! The common place is great for meeting backpackers from all over the world. We chat a lot and have fun. I really enjoy the days spent in Sleeping Boot. The host is super nice and the hostel prepared a hostel made hualien map for the traveler. 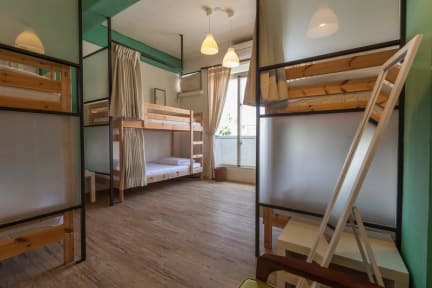 Clean and comfortable hostel, but it is situated in the middle of the train station and city center, it takes about 15 mins to walk from the train station to the hostel. Yet, if you are with a bike or motor, that's not a big deal.